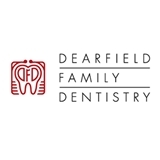 Dearfield Family Dentistry (Greenwich) - Book Appointment Online! Our approach to Dentistry is to make your visit a pleasurable, educational and pain free experience. We devote time to understanding your dental conditions, needs and expectations, and customize your treatment options based on these criteria. Our staff focuses on preventive dentistry and with the best available advancements in dentistry, we are able to provide you with the best quality of care in the field. Dr. Gogate has a strong drive to meet and exceed every patient’s needs and to provide them with the most advanced care and comfort available anywhere. Excellent bedside manner. He went over the x-rays of my teeth with me, explained what he saw and why he wanted to use a specific line of treatment. The cleaning was also done in an excellent manner, was pretty comfortable and definitely better than my previous experiences. The staff is courteous and professional. Overall I recommend him as a dentist. What a wonderful experience! The office was spotless with all new equipment and every person there was lovely to deal with. We will absolutely be back.